In this tutorial we will make a TCP Connection. 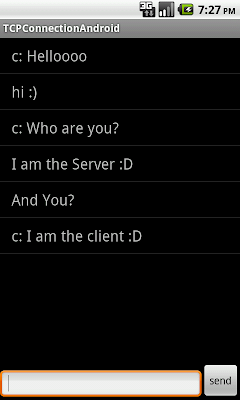 The server will be written in Java and the client will be written in Android. Actually it will be a very simple messenger client. //create a server socket. A server socket waits for requests to come in over the network. //create client socket… the method accept() listens for a connection to be made to this socket //and accepts it. /*To create the Client, create a new project and call the class that creates with the project ” MyActivity”. //here you must put your computer’s IP address. At the beginning of this class you have a constant SERVERIP. In this constant you have to put your computer IPv4. 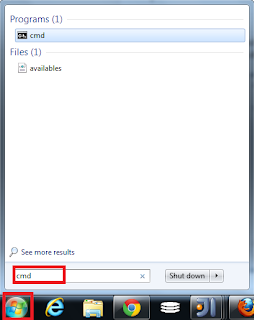 To do this open the commander and type ipconfig and press Enter. Then you will see your computer’s IP. 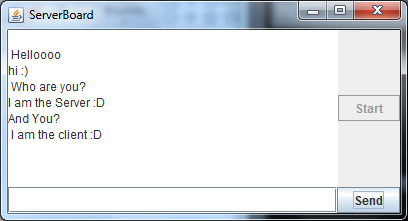 Also the SERVERPORT from this class (TCPClient) must be the same with the SERVERPORT from server class (TCPServer). Now that the server and client classes are done, we have to set the interface a little. For this we will make a ListView in MyActivity class where we will get the messages sent and received, an EditText to enter the message from client side and a button to send the message. So let’s begin. 4.create a new class and call it “MyCustomAdapter”. //this method must return the view corresponding to the data at the specified position. 1. First, you must open the server, so run the TCPServer class, the one that is made in Java and a window called ServerBoard will appear. 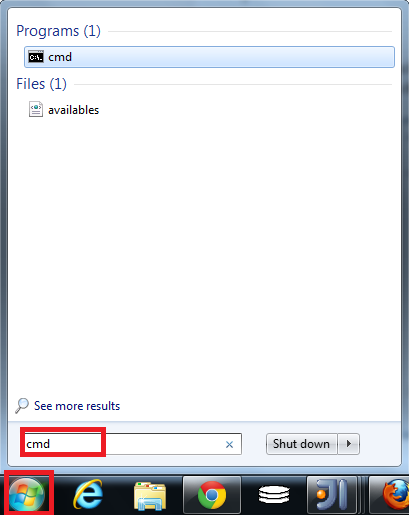 Press on the start button like in the picture below. Do NOT start the android project before you press the start button! 2. The server waits the client to connect now, so run the android project on the emulator and wait for the project to load. 3. After the project is loaded enter a message in the EditText and send it. Your text should appear on the ListView. 4. 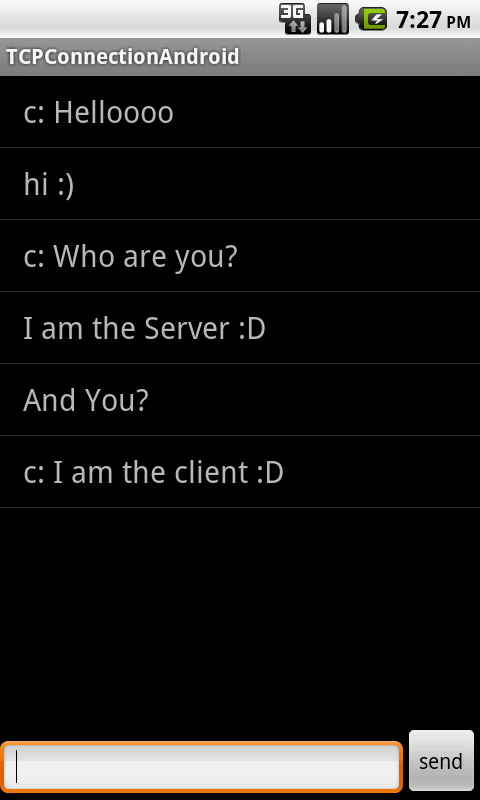 Now go back to the ServerBoard and send a message to the client from Android. The message from server side should appear on the ListView too. NOTE: If you test this on a device and it's not working, probably you should turn off all your firewall (from Windows, from antivirus) . And make sure that your device WIFI is turned on (because the android client must be on the same network as the server). 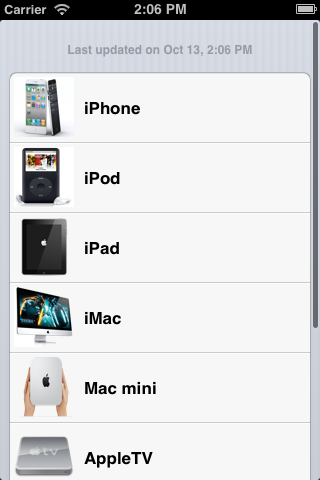 A lot has happened in iOS 6 and apple has a document which you may read it from here. The above document will guide you out regarding the changes that has happened in iOS technology. In iOS 6, changes have been introduced so that you no longer need to set a delegate and implement a method for single-finger and single-tap gesture recognizers. 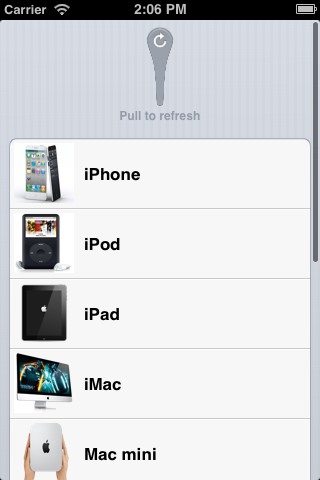 This makes them work well with theUIControl objects. The system determines whether an orientation is supported by intersecting the value returned by the app’s supportedInterfaceOrientationsForWindow: method with the value returned by thesupportedInterfaceOrientations method of the top-most full-screen controller. The willRotateToInterfaceOrientation:duration:, willAnimateRotationToInterfaceOrientation:duration:, and didRotateFromInterfaceOrientation: methods are no longer called on any view controller that makes a full-screen presentation over itself—for example, presentViewController:animated:completion:. It is not supported to set values for the shadowOffset or shadowColor properties of a UILabel object if its attributedText property contains a valid attributed string. Instead, use theNSShadowAttributeName attribute of the attributed string to set the shadow. The NSTextAlignmentNatural value is not supported. It will throw an exception when it is used with the textAlignment property of UILabel or is supplied as the alignment parameter to thedrawInRect:withFont:lineBreakMode:alignment: method of NSString. The setContentStretch: method of UIView has been deprecated. To achieve the same effect, use the resizableImageWithCapInsets: method of UIImage and display the image with aUIImageView. 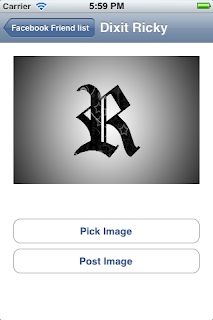 The resizableImageWithCapInsets: method of UIImage effectively resizes images by tiling. As a performance optimization, it uses stretching rather than tiling when the user would not be able to tell the difference, such as when a single column or row is being stretched. But in certain circumstances, the user might want to actually stretch some region of an image. In iOS 6, theresizableImageWithCapInsets:resizingMode: method allows the caller to specify a tiling or stretching resizing mode. The class has changed some method names. Specifically, decoration views are no longer referred to by “reuse identifier” but rather by “element kind.” Apps that are using decoration views will need to modify their code and be rebuilt to accommodate this. Landscape-only apps that invoke a portrait-only view controller (such as the Game Center login screen) will cause the app to crash. 1. Apps should provide the delegate method application:supportedIntefaceOrientationsForWindow and ensure that portrait is one of the returned mask values. 2. When a UINavigationController is involved, subclass the UINavigationController and overriding supportedInterfaceOrientations. Passes must include the WWDR Intermediate Certificate in their signature. Passes that omit this certificate are invalid and cannot be added to Passbook. This restriction was not enforced in previous beta releases. Images included in passes that use RGB need to include an alpha channel. For this release, iOS Simulator does not support testing In-App Purchase. Please use a device to test your apps that use this feature. All our clients want to have a basic functionality when its regarding the data display in the table view and that is having a spinner at it’s top. To do this you have the EGORefreshDemo that is available and is a little bit tricky to handle but is quite cool. 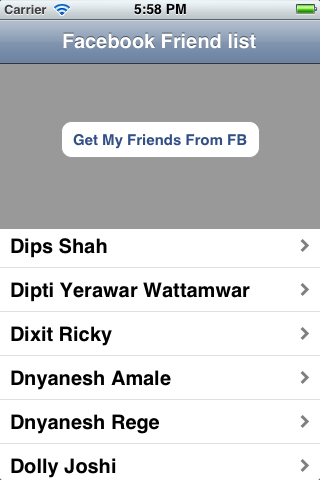 In iOS 6 apple has been a little open hearted to provide you with a class named UIRefreshControl which is similar in fashion, so in this post we will have a look at the UIRefreshControl and will use it with a table view. 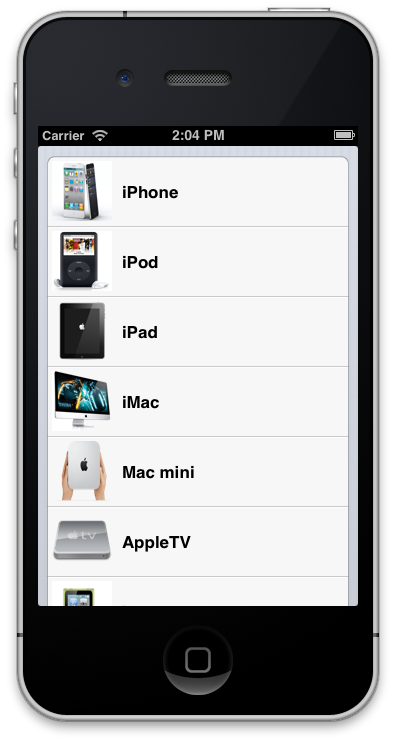 Step 1: Open you Xcode 4.5 and create an empty view based project and add a UITableViewController file to it that will have a list of various products. After you have done this then add your table view controller view in the app delegate and the run your project to see if you have got things right. 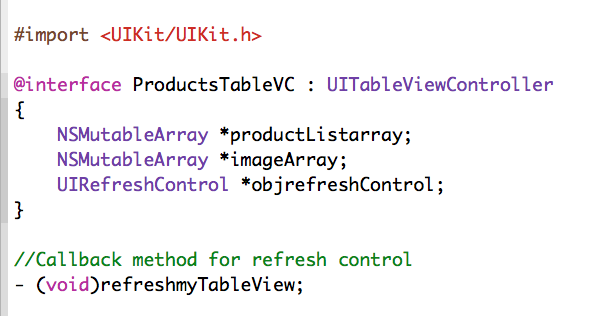 Step 2: After completing step no1 select your tableviewcontroller.h file and declare a global object of UIRefreshControl. Note: This class requires a call back method that will get triggered once you pull it so in simple terms we need a function, which we will assign to the UIRefreshControl and this function will be called when we pull our table to refresh it. 2. Declaring a function that will be called when you pull the refresh control to refresh the table. 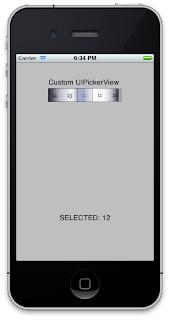 Step 3: Alright now after Step no 2 it’s time to switch to your tableviewcontroller.m file and select the view did load method where you will initialize the object of UIRefreshControl. Code Explanation:I have used comments to make you understand the code. After initializing the control it’s time to work on the callback method that would be associated with the UIRefreshControl. Step 4: All set and done its time to run your project and see how it looks try pulling your table view and see apple’s new UIRefreshControl. Given below is the output for the same. 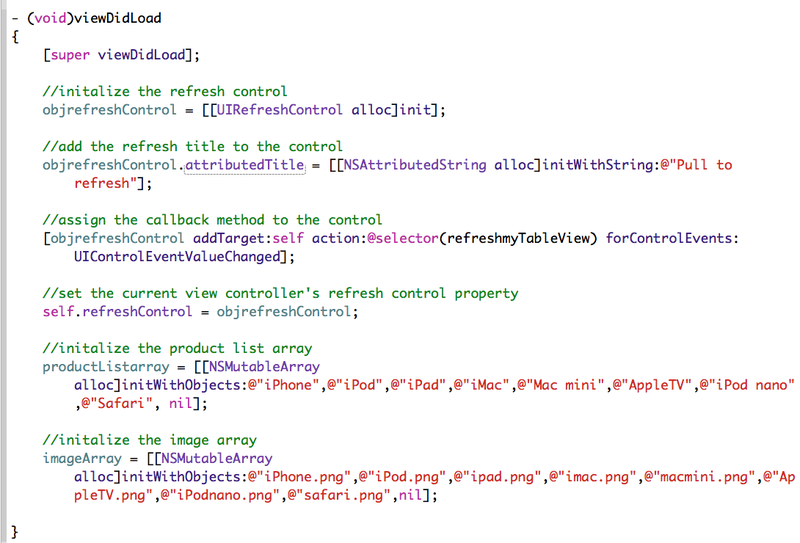 My Views on UIRefreshControl: After looking at this your client may or may not ask you to customize the UIRefreshControl class or stick with EGORefresh library, this class is available for iOS6 and not with any previous versions. But anyways its quite handly and less code is involved so it’s a good class by apple. You may download the source code of this project from here. 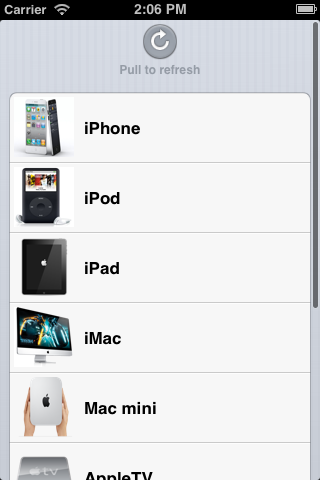 Basically we’re just declaring our UIPickerView as IBOutlet (nothing new in declaration method here). We also added a NSMutableArray so that we can manipulate our items and be able to add our items in the pickerview easily later. 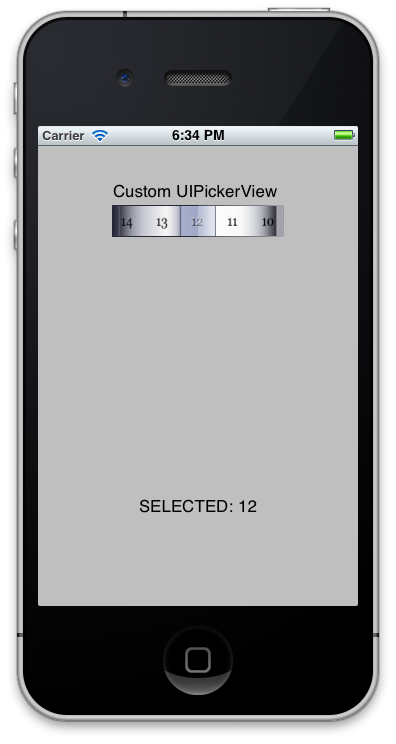 We also add UIPickerViewDelegate at the interface because we will be using the built in Delegate functions of UIPickerView object. So now you have declared the UIPickerView, go to Interface Builder and connect BOTH the “delegate” and “Referencing Outlet” to the FileOwner. you want. “Component” is the scrollable object in a pickerview. For example, a date pickerview has 3 components where user can select each of date, month and year. For our case, we are going to use just 1 component. This delegate is always called when user selects an item. Write the actions you’d like to happen when user select something in here. // UIlabels, each with a text of 1 to 20. Set the other UIlabel’s property as you wish. 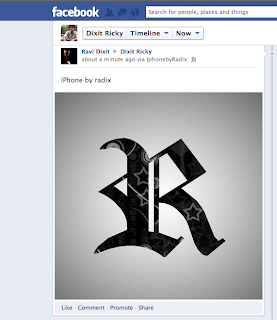 // that we just created above into the array using “addObject” method. 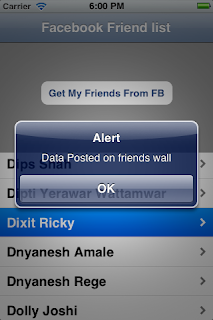 Note: Remember one thing image is a file and if you want to post a file on your friends wall then in that case you have to make use of a class named “FBGraphFile”. Code Explanation: In the above code i am using the class FBGraphFile and storing the image data that i want to send to my friends wall. Then with the help of dictionary i am encapsulating the image and some text about the image. Later with the help of the FBGraph object i am posting the image and the text data regarding that image with the help of the method named doGraphPost also make a note that this time its not the feeds that i am using its the photo variable since we want to push a photo on our friends wall. Now when everything is in place you may run the application. 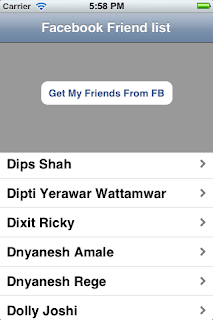 Now select a friend from the list and when you do you will be navigated to the following screen. Now when you tap on the Post Image button then the image which is currently selected by you will be posted on your friends facebook feeds. 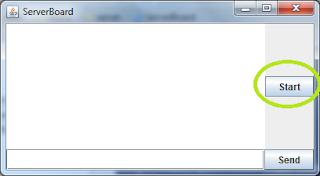 n this example we start the activity by making a HTTP request to read the Excel file hosted on a Web Server. We take help of the AsyncTask to fetch the data in background from the Excel file using the URL pointing to it. The input stream from the file is then parsed using the Apache POI classes and stored in an ArrayList. After the AsyncTask is completed, basically the complete Excel file is downloaded and parsed it is then displayed using a ListView.